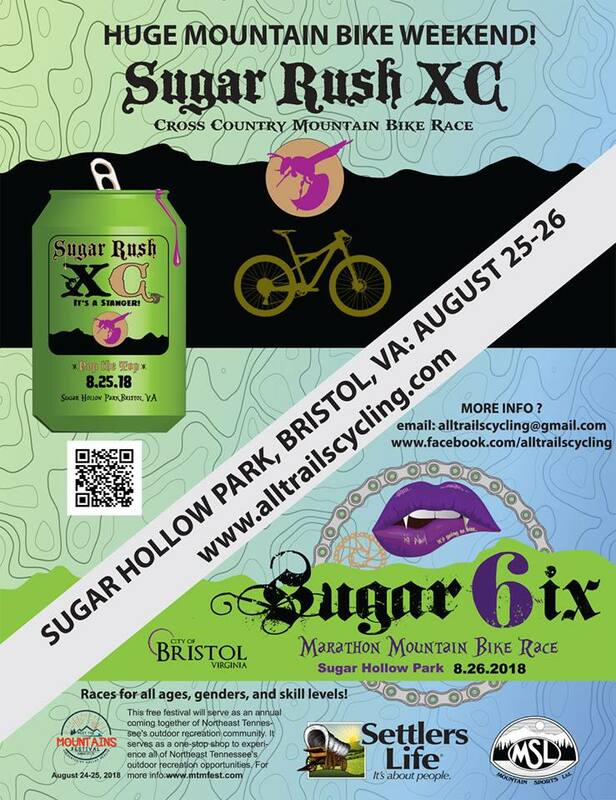 Join us August 25th and 26th at the 2nd Annual Sugar Rush Mountain Bike Race Weekend! Mountain bike race weekend including a challenging cross country race on Saturday, and an even more challenging 44 mile marathon race on Sunday (shorter race also available). Be a part of the first marathon MTB race in the Tri-Cities! Pro prize list up to $425.00 both days. A portion of the race proceeds for each race will go the local NICA high school MTB teams.